Fundraising in the current enviorment is a time consuming process - be realistic about the timeframe. Make sure you start the process atleast 7-8 months prior to when you want to raise a Series A financing. The deal process has two parts, pre-termsheet and post-termsheet. Underestimating the time required inevitably leads to desperatrion and will often need to alter your funding strategy to include diverting attention to raise a bridge round to sustain the business. Seed funding is more plentiful and easier to raise as compared to Series A. Leveraging your network and building genuine relationships before you start your Series A fundraise will make it easier for you to get potential meetings with investors. Reach out to your extended network and request them to reach out to their connections. These second degree network have powerful and favourable outcomes. Spreading word about your business through your network or through PR/marketing initiaves is always helpful. Within reason, if you have access to capital and the deal terms incluing dilution are decent, raise 10-15% more than budgeted as the business initiatives/operations dont always materialise as planned. Raise enough to allow you a fair shot to meet your milestones for the next round of financing so that you can channel all your focus on building the business and scaling it in the right direction. Raising every round of funding post Series A becomes significantly difficult and therefore is time consuming process and highly distracting. Additionally, there is a transaction cost every time you close an additional round. MS. ROMA PRIYA, FOUNDER AT BURGEON AND LEGAL ADVISOR FOR START UPS. A Delhi based young lawyer, with the aim to support the start -ups in town, has so far represented over 80 clients and structured about 70 venture deals, including seed and angel-stage as well as Series A and Series B funding rounds. A woman with exceptional oratorical skills, is passionate about doing work for the Start-ups and budding entrepreneurs. Hold a degree in International Business Laws and Corporate Laws at Symbiosis International University, Pune, Ms. Roma has then worked with the Asset Reconstruction Division of a popular Indian bank. She worked there for over a year, but found the work to be a little distressing as it mainly involved suing people and recovering money. 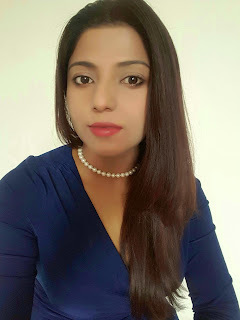 Having worked/advised hundreds of entrepreneurs and startups in the last five years, by mid 2015, Roma started receiving a lot of incoming leads and referrals from potential clients.Burgeon was incorporated as an extension of her deep passion for entrepreneurship with a commitment to support entrepreneurs and their startups through the various life cycles in their entrepreneurial journey. Burgeon represents both early-stage startups and large ventures with their legal options and ensure they understand the intricacies of the documents. Roma’s objective for Burgeon is to create a ‘one-stop support system’ of services to entrepreneurs.